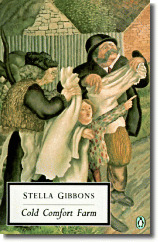 Stella Gibbons was born in 1902 in London, England. She studied journalism at University College and worked for a variety of newspapers. She was the author of twenty-three novels and also published short story collections and books of poems. She died in 1989 at the age of 87. The public loved this book it, even if one critic was convinced that Stella Gibbons was a pseudonym for Evelyn Waugh. The next year the novel won the literary award Prix Étranger of the Prix Femina-Vie heureuse, which was rarely awarded to "comic novels", and this choice by the judges deeply incensed the arrogant and entitled Virginia Woolf. 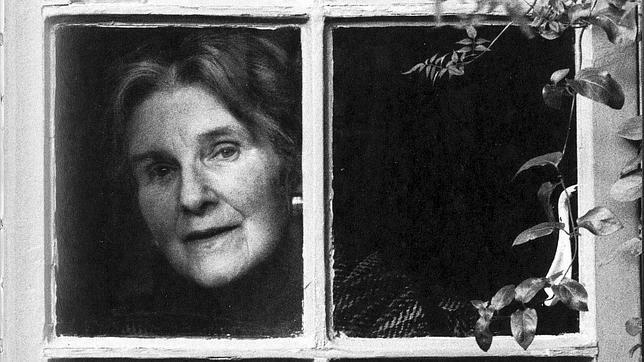 "I was enraged to see they gave the £40 to Gibbons," Woolf wrote to Elizabeth Bowen. "Still, now you and Rosamond (Lehmann) can join in blaming her. Who is she? What is this book?". (This is why writers should always dispose of certain old letters!) Woolf was terribly snobbish about "non-literary" writers. After all, the literary writers she admired were the only real writers (a divine group in which she included herself) - and this letter certainly doesn't put her in a favourable light, to say the least! But I have heard remarks like this all of my years of writing - awards rarely make anyone happy, other than the winner! 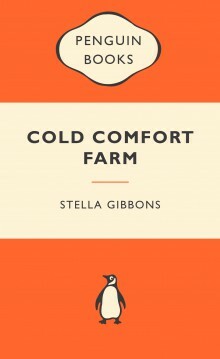 I read Cold Comfort Farm some years ago and again more recently. It is sophisticated, hilarious, strangely dark and unsettling - but for all that, it is mainly a pointed parody of the verdant, bucolic regional school of writers like Mary Webb, Thomas Hardy, Emily Bronte and especially D.H.Lawrence whose agrarian lustful novel, Lady Chatterley's Lover became a "cause célèbre" almost forty years later. Before that, only edited versions had been released to the public. When the full unexpurgated version was published in 1960 by Penguin, their daring decision led to a trial under the Obscene Publications Act - where a jury eventually found Penguin not guilty. Lady Chatterley's Lover became revered after that - because of the crusade against censorship - and for its form of extravagantly descriptive writing about a sexual relationship between a young stonemason and Lady Constance Chatterley. But this is about Stella Gibbons, not D.H. Lawrence. The (to some) aureate writing of many of these writers like Lawrence was just too over the top for many critics - and this appeared to be fodder for Stella Gibbons who wrote Cold Comfort Farm - a wickedly funny masterpiece of her own - parodying this form of (arguably) overwrought pastoral writing. And I, for one, am glad she did. Recently, I decided to look at some of Stella's other books. I found that Vintage had brought her best ones out again. Exciting! But which to choose? 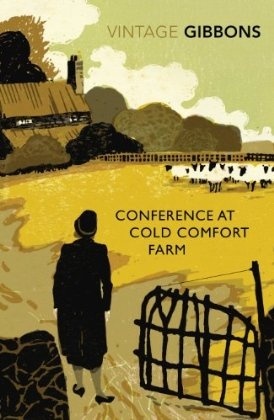 I read a few articles, and it appeared that three of these novels - Westwood, Starlight, and Conference at Cold Comfort Farm, were highly recommended. So I ordered Starlight and Conference at Cold Comfort Farm. 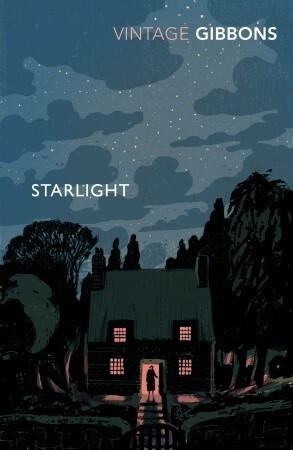 I started reading Conference at Cold Comfort Farm and then switched to Starlight, because it kept calling to me. On a superficial level, Starlight's cover promised something a little more intriguing. I will go back to "Conference" soon, because the parts of it I read were clever and funny - such as using the "modern out-there" art to parody the self-congratulatory artists of the mid-forties. The arrival of the the artists and other "thinkers" attending the Conference ruled over by the inept Mr. Mybug has to be one of the best satires about the burgeoning "modern 20th C artist". Gibbons' treatment of their fervent mandate; the idea that all they needed was to be completely different to anything before them in their art in order to be noticed and celebrated. The conference was to be called the, "Conference of International Thinkers' Group"
Her descriptions of these creative people is wonderful. 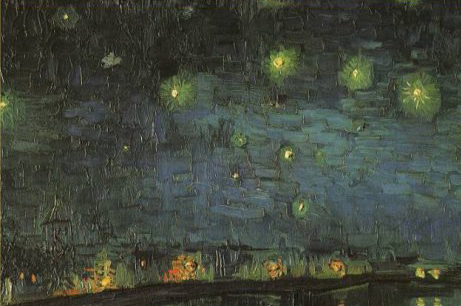 The artists of the novel are stunningly similar to some of today's installment artists or anti-artists - some of whom destroy their art right after making it. Her take on them, and others at the conference, is hilarious. In the novel the artists are referred to as "transistorists." Included in this group are also writers, sculptors, neo-scientists, nutritionists and others. All crazy as loons. Her characters are described perfectly - with a few short short, pithy observations from Flora. A good example of this is when Flora meets Mr. Mybug again after a number of years has passed and reflects "that the passing years had done nothing to mitigate Mr. Mybug's boundless asininity." I will definitely return to it! Starlight. Mmm. Whole different story. While reading Starlight, I kept wondering how Stella Gibbon's mind worked. No holds barred brain comes to mind. Brave writing. Risky writing, in a way, too. I envy her freedom to take a very unlikely story and run with it in directions that are pretty bizarre at times and yet strangely believable. Starlight probably isn't for everyone, for it's deeply atmospheric, sad, hopeful, unpredictable and disturbing. Also droll and wicked. It is about the dank and cold muddy lanes that slant past dilapidated houses in the back byways of post war Britain; it's about old age and poverty, and running away from life. It is also about facing life stalwartly, and accepting the outcome of certain events you have no control over. It is complicated and yet simple. It is unique. The first characters we meet are two elderly sisters, Gladys Barnes and her sister Annie who live in three unkempt rooms on the middle floor of twin-joined cottages in a cloistered, almost rural, back street of London. They are very close to poverty, but Gladys has a cleaning job that just makes ends meet. She takes care of "invalid" Annie, who sits on their bed all day wearing two coats, and covered in shawls and blankets. Annie wears a balaclava of large proportions on her head. When upset (which is quite often) Annie's small face retreats like a turtle into the depths of the balaclava. Gladys is all business and bustle. They play off each other and yet both and evolve and change as the story moves forward. Above their small apartment, living in a single room, is another tenant - a peculiar, but gentle old man, Mr. Fisher, who feels compelled to change his name once a week, but who has a determined mission in life. Which you can discover on your own. There has been news that their shared joint cottage may be sold and all three become fretful and frightened about losing their homes. These characters' lives are, indeed, turned upside down when a "rackman" buys the dual cottage from the previous owner and puts his beautiful, frail wife into the other half of the building. There is something very odd about the wife who seems to be suffering from something ... or some thing that is sucking away her energy. Her husband, Mr. Pearson, appears as a tough gangster-like figure from the shadows. He both intrigues and frightens the sisters. Mr. Pearson has also hired an Eastern European young woman to tend to his wife. The girl is raw and strange and off-putting. Each character's development is a strong theme in this book as well, but the changes often do not develop the way you expect them to go - which is also fascinating. More importantly, at this point in the book, is the question - what is so wrong with Mrs. Pearson? Why is she clearly hiding away in the second half of the old cottage. And why does her only daughter avoid being near her mother and run away to work as rich woman's companion? Add to that cast, the local Vicar, Mr. Geddes, and his curate - and throw in a "devilish being" and you have a novel that is unlike any story you have read. I would advise you to stay away from reader reviews to avoid getting the whole story before you need to. I won't say more about this book, as it is yours to discover and explore. I think about this novel at the strangest times. I am still trying to decide what it is that makes me wonder about it again and again..... but maybe that is what good writing is meant to do, right? I confess to this being my first exposure to this "almost forgotten" woman. And most certainly, I haven't read these books. But you left me wanting to know more about her, and these works. Thanks, Melodye. I am enjoying reading work by women who had a real presence in the writing world they lived in, especially between the late 1800's through the 30's and 40's right up to women like my fav writer Barbara Pym who spanned the late 30's to the 60's. So many are still well loved. But interest died out except for avid groups of lovers of their work. And you can't always find them in a loca library. Now, new prints of their work are slowly coming out again by publishers dedicated to bringing back these amazing writers into the limelight. I am trying to be one of those who spreads the word! I really enjoyed by first "almost forgotten writer" in my blog, Richmal Crompton and became a BIG fan of the books she wrote - especially the specific ones I commented on. Thanks for posting! This writer, Gibbons, -- and you ---hold the same fascination for me. I finally understand literary writing. You always give me something I couldn't have received in any other way. So thank you, Margaret. I don't remember how we met, but I'm "awefully" glad we did. You are one of the main reasons I stay of FB, Gail! I'm awfully glad we met, too. Gibbons is one of the most interesting and fascinating writers I have ever read. I am glad you think so, too. Love back - and a big hug!